The ECM-MS2 is an MS stereo electret condenser microphone designed for mounting on professional camcorders equipped with two XLR inputs and phantom powering. The ECM-MS2 delivers excellent sound performance in field and studio production applications at an affordable price. The MS microphone signal of the ECM-MS2 is internally decoded and it provides L and R (stereo) outputs. 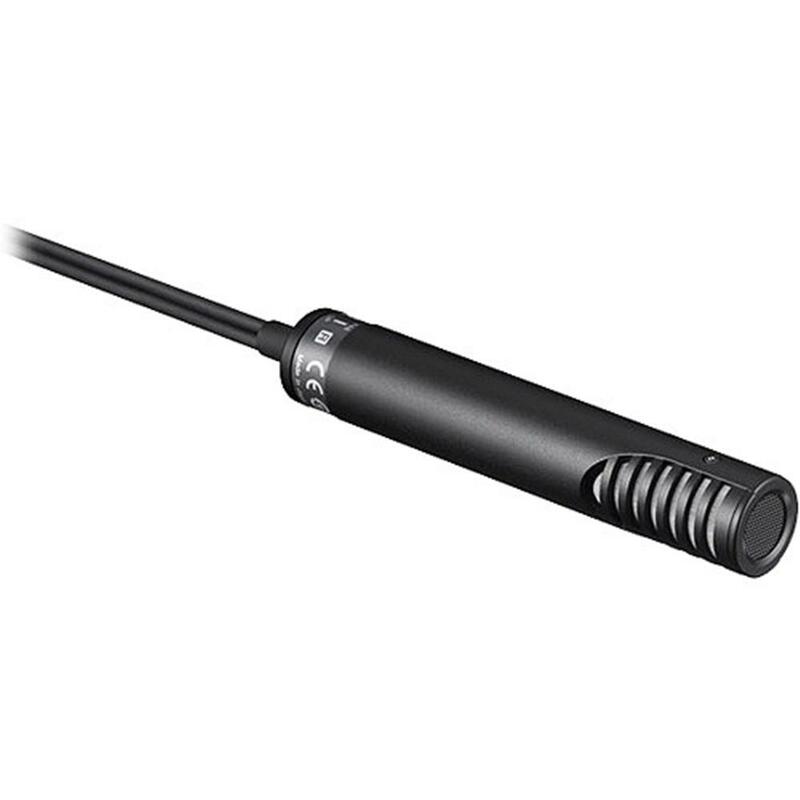 The MS2 stereo microphone also supports mono operation by simply unpluging the right channel (disabling phantom power from the right channel XLR connector). The compact 137mm length of the ECM-MS2 prevents inadvertent vignetting of the microphone in the view when it is attached to a hand-held professional camcorder. 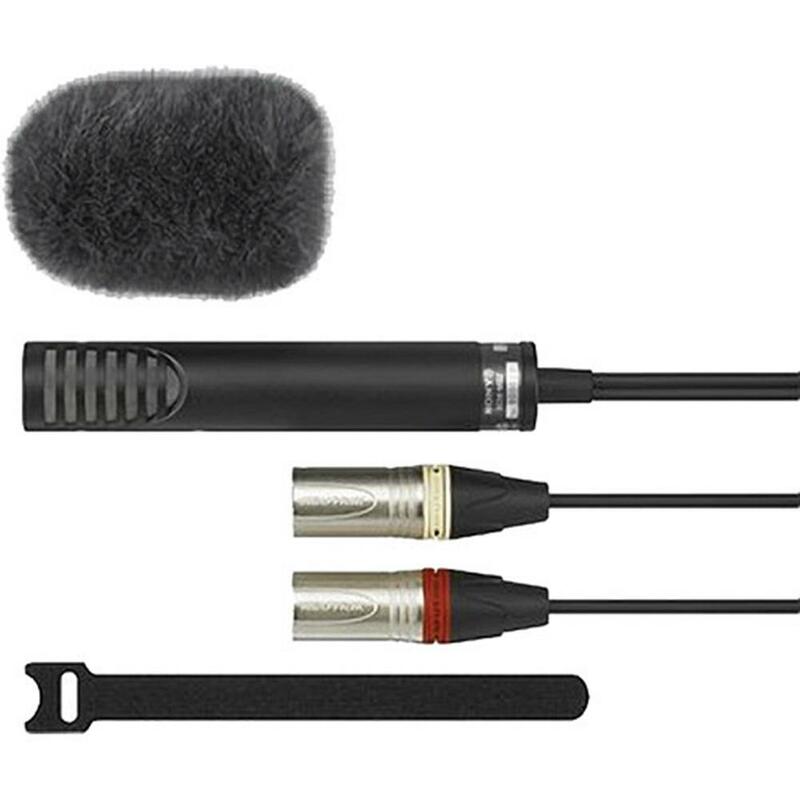 The short length is also convenient for packing and transporting the microphone with a compact camcorder. The microphone's metal body enhances audio performance by blocking vibration, resonance, and RF noises. The supplied "feather boa like" windscreen suppresses the strong wind noise typical of harsh-climate operating conditions.